Trump believes that Kim Jong-un is crazy. Take him out. The U.S. media concurs: the DPRK is a threat to US national security requiring a preemptive first strike THAAD missile attack in the name of “self defense”. Who’s crazy? Kim or Trump? 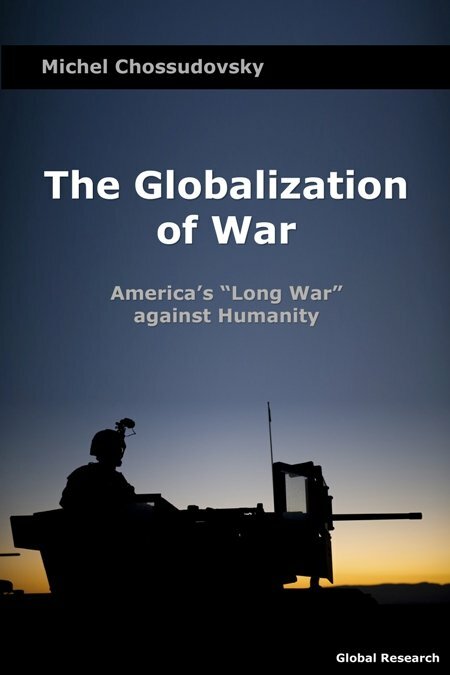 Never mind if it unleashes war with China and Russia. “The rogue regime in North Korea poses one of the most dangerous threats to U.S. national security interests. Pyongyang presents a multifaceted military threat to peace and stability in Asia as well as a global proliferation risk. Pyongyang responds by saying that the US (including 29,000 troops stationed in South Korea) constitutes a threat to the DPRK’s national security, and they must defend themselves. America, a threat to their national security? They have no right to self defense. The North Koreans are absolutely nuts. But it was all for a good cause, killing to preserve democracy. 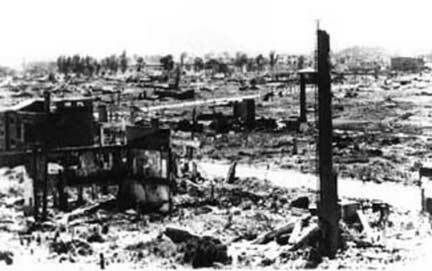 The territories North of the thirty-eighth parallel were subjected to extensive carpet bombing and fire-bombing using napalm, which resulted in the destruction of seventy-eight cities and thousands of villages. As a result, almost every substantial building in North Korea was destroyed. “most of the North Korean cities and villages he saw were either rubble or snow-covered wastelands”. Forget about crazy rogue leaders. Put yourself in the shoes of North Koreans, they’re fellow human beings. Every single family in North Korea has lost a loved one during the Korean war. Ask them: who is the threat to “Their National Security”. And its not over. The DPRK has been threatened with a US nuclear attack for more than sixty years. Imagine what would happen if a foreign power had attacked America, all major cities had been destroyed and 20 percent of the US population killed. How would you feel? That’s what happened to North Korea. Spread American democracy. Kill the Communists. Who’s the threat to Global Security, North Korea or the United States? Trump is just as crazy as Kim Jong-un. Moreover he doesn’t have an understanding of 20th Century history, nor is he able to comprehend the unspoken consequences of a first strike US led nuclear attack. The World is at a dangerous crossroads. The architects of US foreign policy are insane. 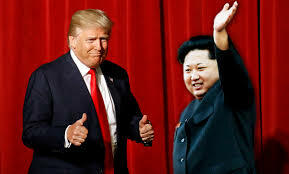 In the words of Stephen Lendman, Trump wants to ignite Korean War 2.0, which inevitably would lead to military escalation beyond the Korean peninsula. 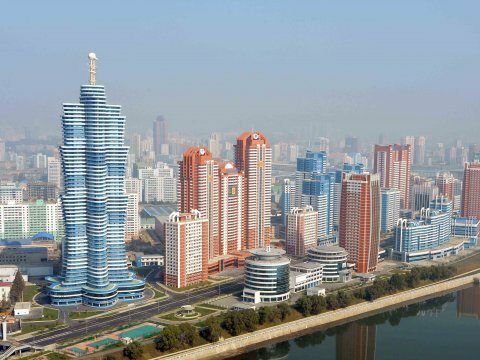 This is not The Trump Tower in New York, it’s Pyongyang. Is this what Trump wants to destroy? Again? “While the Western media portrays North Korea’s nuclear weapons program as a threat to Global Security, it fails to acknowledge that the U.S. has being threatening North Korea with a nuclear attack for more than half a century. To order the Michel Chossudovsky’s book directly from Global Research click image.